There’s never a convenient time for your refrigeration or air conditioning equipment to stop working. So our skilled repair engineers are on-call 24 hours a day, all year round, all over the UK. With our fast repair service, equipment issues can be less costly and less disruptive to your business. With over 50 years of experience, it’s no surprise we know our equipment. You can expect a fast, efficient repair service from our highly trained network of engineers. Get a fast, longer-lasting repair. We use best-quality replacement parts that are warranty-protected. And our engineers carry a wide range of parts on our vans, so we can often repair your equipment straight away. We know every breakdown is important. But sometimes, you need a really urgent repair. 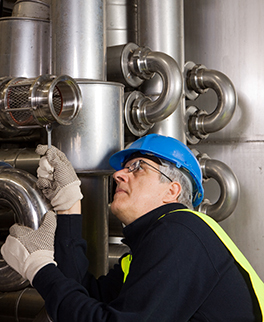 With our priority response service, you can have an engineer with you sooner. You’ll be up and running in no time. Don’t get caught out by ever-changing rules and regulations. All of our systems conform to the latest standards and guidelines. We can even retro-fit your existing equipment to comply with current legislation. Our highly trained, certified engineers are on call 24 hours a day, 365 days a year. We also keep a computerised record of all previous service and repair work, allowing us to diagnose issues quickly and accurately. If you’d like to know more about our nationwide breakdown and repair services, please get in touch. Call our Sheffield HQ on 0114 236 9971, or email us for a free and competitive quote.